Sony is trying to make PlayStation 4 gameplay more immersive with a fast, high-resolution OLED display that has been added to its prototype video game headset, now set for release in the first half of next year. 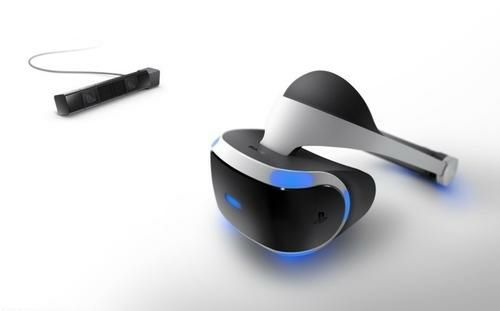 Announced Tuesday at this year's Game Developers Conference in San Francisco, the latest version of the Project Morpheus virtual reality (VR) system is similar in appearance to its predecessor, unveiled at GDC 2014. But it features a 5.7-inch, 1920 x 1080 OLED display, providing a 100-degree field of view, that improves on the previous version's 5-inch LCD display. The OLED screen is also faster -- it can render 120 images per second, enhancing the immersive feel while playing games. "Adopting OLED and optimizing the length of time the screen is lit has helped achieve a projection with reduced motion blur and persistence," Sousuke Kamei, a spokesman for Sony Computer Entertainment in Tokyo, wrote via email. Sony doubled the refresh rate of the previous prototype by creating another frame between two given frames in the 60fps (frames-per-second) output. Developers can still render their games in 60fps, but the headset is able to output them in 120fps. Sony calls this technique "reprojection." Sony is planning to release a software development kit (SDK) to output images in 120fps. Morpheus also has three additional tracking LEDs, for a total of nine. The diodes improve the positional tracking of the display in 360 degrees, so that when players move their heads around, the graphics in the display change with minimum latency. The headset has also been made lighter, and has a single band to secure it as well as a quick-release button to partially detach the screen, eliminating the need to remove the headset entirely. Morpheus is designed as an extension of the hit PS4 gaming console, which Sony said has sold over 20.2 million units worldwide through the end of February. It will go up against other VR platforms in an increasingly crowded space that includes Oculus Rift, Samsung's Gear VR headset and the recently announced HTC Vive. "Our goal with VR is to deliver a sense of presence, making the player feel as though they've stepped inside the world of a game," SCE Worldwide Studios President Shuhei Yoshida wrote on the Playstation Blog. Sony has yet to announce a price for the headset for its 2016 release, or announce any official game titles for the device.